As I previously predicted, Theresa May will be holding general elections this year in the United Kingdom. While she believes that this will help her shore up a majority and, as a result, a mandate for her governance, she’s making a huge mistake for herself. Like Hillary Clinton before her, the media’s propagating of inevitability is resented by much of the public and they, like with the Brexit result before it, may be ready to show the elite of England that they will not follow orders nicely. Along with this, Vladimir Putin will come after her and help elevate her rival who is seen as more sympathetic to his interests, Jeremy Corbyn. While many think his leadership is coming to an end, the truth is he’ll win the general election and shock the nation, and the world, in the process. The UK aristocracy will try its hardest to destroy him upon such an upset victory, even with an assassination attempt along the way. However, it will fail and Corbyn will be remembered as one of England’s favorite prime ministers. 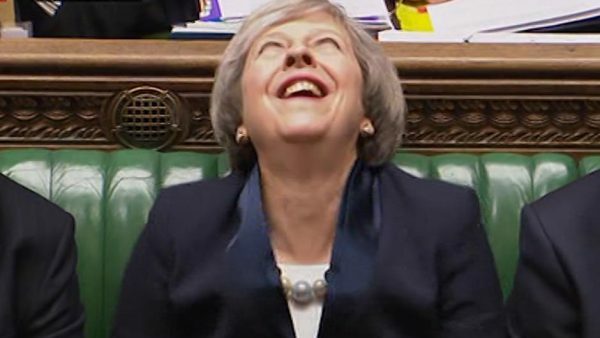 While May thinks this is the beginning of a major revival of her political fortunes, she’ll soon discover it will be a disastrous end for her career like what became of her predecessor, David Cameron. This foolish folly won’t have a happy ending for the Tory party, though fortunately it still sees Brexit in its wake. The instability in the airline industry has been a long running trend over the last few years. United’s “re-accommodation” mishap is only the latest in a series of scandals permeating throughout the entire airline industry. From increased hassles and fees to invaded privacy, terminal fights and terrorism, flying has become disdained by most of the world. All of this anger and feelings of being fed up leads to most important innovation of the decade, the flying car. Later this year, I believe the final prototype of a mass produced flying car will be released to the public. There have been a number of iterations previously, but I believe this latest one will be the one that becomes the major money maker. It will soon be available, likely released by years end. The price will be affordable enough soon after release where most Americans can save up for it if they invest wisely. 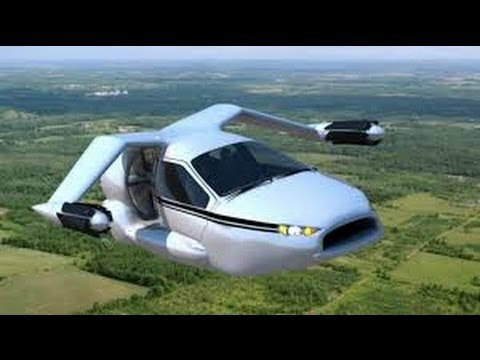 Soon, with a little help from corporate tax credits and incentives, everyone will have one and the airline industry will go kaput as a result; resulting in a nationalized system of air travel for those who can’t operate a flying car on their own. The days of the oligopoly are coming to an end and not a moment too soon. It is disturbing how much mentally ill is coming out and committing crimes! Constant attacks, murders and always man hunts. I hinted at this in my first prediction for this month and it seems like a fulfillment has already occurred. Trump’s attack on a Syrian air base last night after an alleged chemical attack on civilians by Assad’s government takes us to an extreme moment of danger. This comes as a major reversal of Trump’s campaign promises and his supporters have already turned on him over the action. What makes this strike so foolhardy is that we don’t really know who launched the chemical attack and the facility bombed is fighting ISIS, a more imminent danger. Russia’s cool response alarms me and the risk of world war 3 is very great. This bombing, on the 100th anniversary of the US entry into world war 1, threatens to send the world in war yet again. In spite of this danger, though, I do believe that it will de-escalate in the next few days when the war gets too hot. However, Assad will have to be removed from power in order to do that. 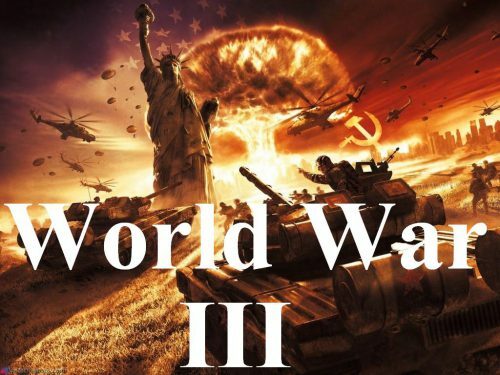 The deep state does not care if we are nuked off the face of the Earth and the Russian government must know that they are dealing with mad men not bluffing with their threats of a holocaust. I said Assad would be disposed of in my 2017 predictions. Hopefully, he’ll leave quietly rather than threatening a nuclear apocalypse to accomplish the job. It’s the only way to take ourselves off the brink of total destruction. I’ll write more specific predictions in the future, but #1 is more of a general comment than anything else. 1) April, along with August, will be the most consequential months of the entire year. Big changes are on the horizon in regards to politics and also the state of foreign affairs. Specifically watch for major changes in the Trump white house. It will devastate the country in ways he may not expect. 4/7 ETA: With prediction 1 already in the process of fulfillment, it’s time to add some more predictions to do this list. 2) London will be in a state of crisis this month and it will have nothing to do with terrorism. It will have major political implications for Theresa May’s government and will likely seen an upswing for a currently embattled Jeremy Corbyn. 3) I know this seems like quite a long shot of thinking, but there’s a chance that Jean-Luc Mélenchon surpassed Marine Le Pen in the first round of presidential polling. If he does, he’ll defeat a very war hungry Macron easily. If not, I’m starting to believe that Le Pen is inevitable, sad as it is to say. 4) With the troubles in Syria more apparent than ever, Israel’s jubilation will be short lived. What goes around comes around and during a similar chemical attack on the Palestinians by Netanyahu this summer, a bomb will be set off at their military base from where they store their secret nuclear weapons. Fair play is the name of the game and it may lead to a fraying of Trump from Israel that I have previously predicted. 5) There will be massive anti-war demonstrations this weekend. It will be part of the reason why the situation in Syria doesn’t get worse. 4/20 ETA: A few more predictions. 6) Angela Merkel is going to have a rough month in May as it will preview a disastrous election result for her in October. 7) As I’ve hinted at previously, there will be a major breakthrough next month on the issue of police brutality. Things are about to change for the better, as surprising as it might to hear. 8) Watch for trouble in the real estate markets of New York and London. It’ll signal what will finally see this long inflated bubble pop into the greatest depression of our time.